Uber suppliers, competitors and even formerly supportive government officials have been quick to criticize or distance themselves from the ride-hailing giant, whose human and technological safeguards apparently failed to detect a woman crossing the street with a bicycle on a clear night. The incident comes as Uber, which has invested heavily in self-driving technology, tries to rebuild a reputation marred by scandals involving data breaches and a toxic workplace culture. The chief executive of self-driving rival Alphabet Inc.’s Waymo said his company’s vehicles would have avoided the March 18 accident. Executives of companies that supply autonomous vehicle technologies pointedly said their systems were capable of detecting the pedestrian. The comments stand in contrast to high-profile accidents in industries such as aviation, where competitors almost never comment publicly about each other during investigations. They also underlie a broader concern that the accident — vividly captured on a dashboard video — could turn public opinion against the nascent technology that has enjoyed relatively light-touch regulation from state and federal authorities. “More incidents like the one last week could do further harm to already fragile consumer trust and spur reactive regulation that could stifle this important work,” Intel Corp.’s Mobileye CEO Amnon Shashua wrote in a company blog post. Mobileye, which makes chips and sensors used in collision-avoidance systems, said that it fed the police video of the Uber incident through its software from a television monitor. Shashua wrote that his company’s technology was able to detect the pedestrian one second before impact in its internal tests, despite the poor quality of the video. A top executive of Velodyne Lidar Inc., which makes the laser-based sensors used by Uber and many others developing self-driving cars, said its technology was capable of sensing the pedestrian. The Velodyne lidar “doesn’t make the decision to put on the brakes or get out of her way,” said company President Marta Thoma Hall. That’s something autonomous-driving software must do. The self-driving vehicle community has long discussed the potential dangers of a “Hindenberg” for self-driving vehicles, Bryant Walker Smith, a University of South Carolina law professor who studies self-driving cars, wrote in an email, referring to the hydrogen-filled airship’s catastrophic explosion in 1937. “I’d say this is a critical moment of truth for the industry,” he said. The turning point appeared to be the release by police of the video from the dashboard of the Uber showing the moments before the Volvo SUV hit 49-year-old Elaine Herzberg at nearly 40 miles per hour as she crossed a road in Tempe. She later died from her injuries. Experts who reviewed the video said Herzberg should have been detected by the SUV’s suite of self-driving sensors and that an attentive human driver could likely have avoided the collision. Uber’s backup driver in the car appeared distracted and didn’t look up until roughly the time of the collision, according to an inward-pointed video also released by police. A spokesman for the Self-Driving Coalition for Safer Streets, a Washington-based group that lobbies for self-driving vehicle makers including Uber, Waymo, Lyft Inc. and Volvo, downplayed the risk of a broader backlash against the technology due to the crash. “Ultimately we recognize that there’s going to be a long pathway for us to make sure that we have this technology being safe and we also have to earn the public’s trust, and all the members of the coalition are committed to that fact,” David Strickland, the spokesman for the coalition and a former National Highway Traffic Safety Administration chief, said in an interview. Even though Uber had voluntarily halted self-driving car tests nationwide, Arizona’s Ducey on March 26 ordered the company to stop tests in his state indefinitely. In a tweet, he said he was “very disturbed” by the crash video. The comments were a reversal of the state’s earlier policies beckoning self-driving car developers. Some companies not directly involved in the Uber fatality reacted by pausing their own tests as they waited for the dust to settle. Self-driving startup NuTonomy Inc. suspended self-driving tests on public roads in Boston for a week at the request of city officials. Toyota Motor Corp. likewise temporarily halted public-road testing of its “Chauffeur” hands-free driving system, citing concerns that Uber’s crash “may have an emotional effect” on the automaking giant’s test drivers. Jim Lentz, Toyota’s North American CEO, said he doesn’t know enough about Uber’s Arizona accident to say for sure if his company’s technology would have prevented it. But he said the accident won’t affect Toyota’s relationship with Uber. The Japanese automaker owns a stake in Uber, though it hasn’t disclosed the size of it. Toyota is also working with Uber and other partners including Amazon.com Inc. to develop fleets of self-driving delivery vans scheduled to debut in 2020. Uber declined to comment on statements by other companies about how their systems may have performed in the March 18 crash. 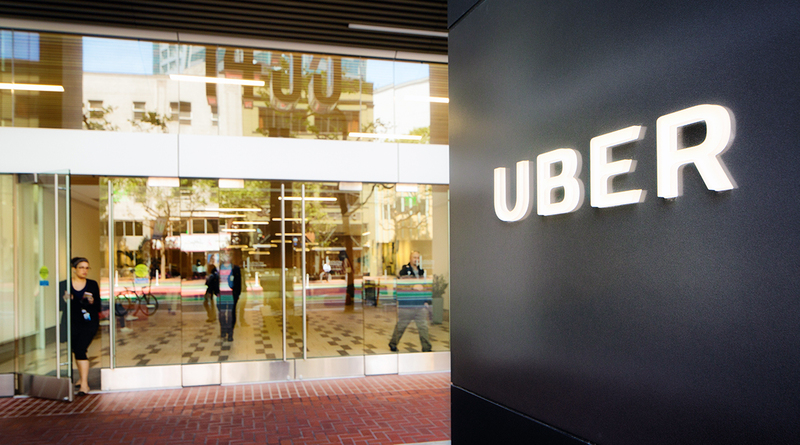 On March 27, Uber informed the California Department of Motor Vehicles that it would not renew its license to operate self-driving vehicles in the state.